SAP SE (NYSE : SAP ) today announced new features to digitally optimize the supply chain and infuse it with intelligence from product design and production to delivery, operations and service. 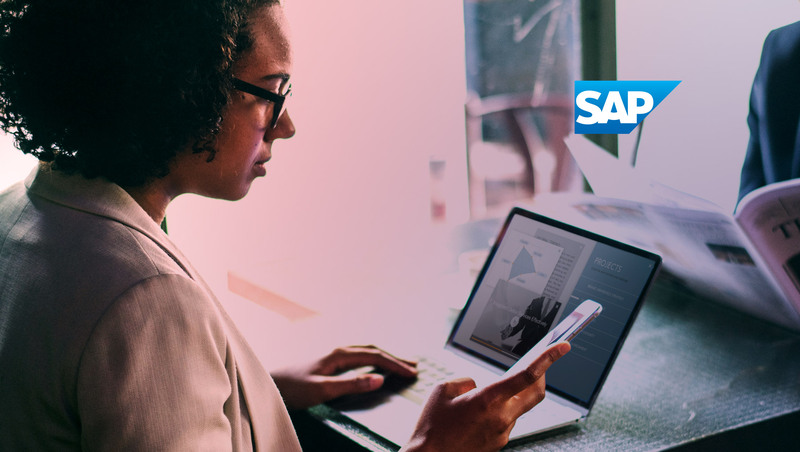 With the integration of SAP S/4HANA® to digital supply chain solutions from SAP, companies can gain new insights, make predictions and instantly adapt in an agile supply chain that extends to customers and supplier networks. The announcement was made at IMTS USA, being held Sept. 10–15 in Chicago, Illinois. SAP’s leading presence and innovation in supply chain management continues to help companies around the world embrace Industry 4.0 technologies including the Internet of Things (IoT), Big Data, and machine learning–enabled automation. The latest solution updates enable an integrated supply chain and manufacturing environment with enhanced capabilities for production planning and scheduling, availability and fulfillment, compliance, health and safety, and production engineering and operations. Support for highly engineered products — consolidated operations including bill of materials, intelligent process planning, shop floor execution and integrated system testing. Production engineering and operations can be synchronized across manufacturing execution for complex assembly and low-volume operations, such as in aerospace and defense, which traditionally required manual processing. 3D visualization and production — providing visualization from design through production to service and maintenance, and supporting the network of digital twins. Core business processing is combined with complete product lifecycle management to support decision-making, production and maintenance operations, and 3D printing of components. Deeper sourcing and supply integration with Ariba® Network — enabling critical supply analysis, vendor selection and flexibility to adapt to changing global trade regulations and variable customer requirements. Process production now supported with recipe management development — including the ability to track and find optimal recipes. Proposal of suggested options for materials without purchase contracts — using machine learning that can reduce exceptions and errors when processing long lists of open purchase requisitions and help operational purchasers easily create requests for quotations with algorithm-based suggestions. Demand-driven replenishment — improved buffer-proposal suggestions for transferred products using machine learning capabilities. This more precise inventory management results in better service levels and better return on assets. Enhanced sales forecasts and delivery performance — by gaining reliable sales and fulfillment insights using predictive analytics and machine learning. Advanced variant configuration — with new state-of-the-art algorithms that have been built together with the Fraunhofer Institute in Kaiserslautern and are optimized for the SAP HANA® business data platform. This enables a better user experience, such as by calculating alternatives in a more accurate way to avoid inconsistencies and by handling decimal values very precisely. More information is available here.